The old Hartnett Elementary School building in Truxton will be the location for a new charter school (Photo: Provided). CORTLAND, N.Y. — A four-year effort to open a charter school in Cortland County has come to an end after the State University of New York Charter Schools Institute voted Thursday to grant a new charter for the creation of an elementary public charter school in Truxton, N.Y. 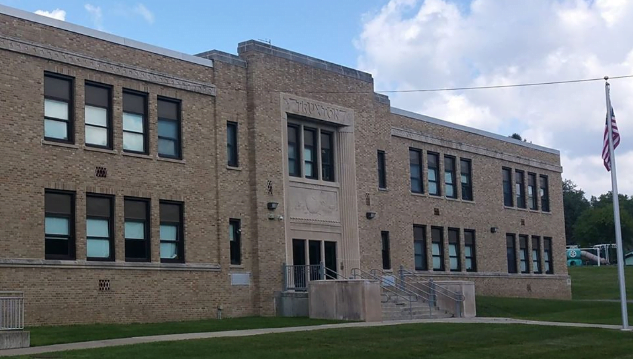 The Truxton Academy Charter School will be established in the former Hartnett Elementary School building, which was closed by the Homer Central School District in 2015 due to declining enrollment. Cindy Denkeberger, Board of Trustees President for Truxton Academy Charter School, said charter school organizers have been preparing for this day for nearly the past five years. "We feel like we can be a model for other rural areas in New York State, and keep families in Cortland County who might otherwise seek schooling elsewhere," Denkeberger said. Denkeberger says they are already putting out job applications for the positions of Head of School and Student Achievement Coordinator. They're also looking to hire five teachers in the first year. The project has created tension between charter school organizers and the Homer Central School District. Homer school district officials have argued that the charter school would cost the district roughly $1.8 million over a five-year period. An open house is planned for Nov. 3, with the opportunity for parents and children to visit the school. Registration will begin in the spring, with enrollment starting in fall of 2019. In its first year, the school hopes to enroll 68 students, with that number increasing to 140 students by its fifth year. In addition, the school hopes to evolve from a K-2 school into a K-6 school in that same timeframe. Homer Central School District officials could not immediately be reached for comment Thursday afternoon.